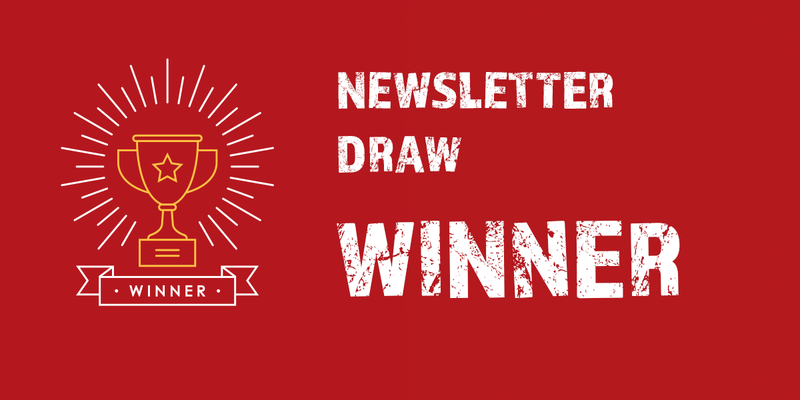 Newsletter Draw Winner – Celebrate Our New Website Launch! Archie S. from Alberta is the winner of our Newsletter draw! Thank you to everyone for participating and remember to join our Newsletter today to be automatically registered to our newsletter draws! This contest is only open to legal residents of Canada who are over the age of majority in their province or territory. 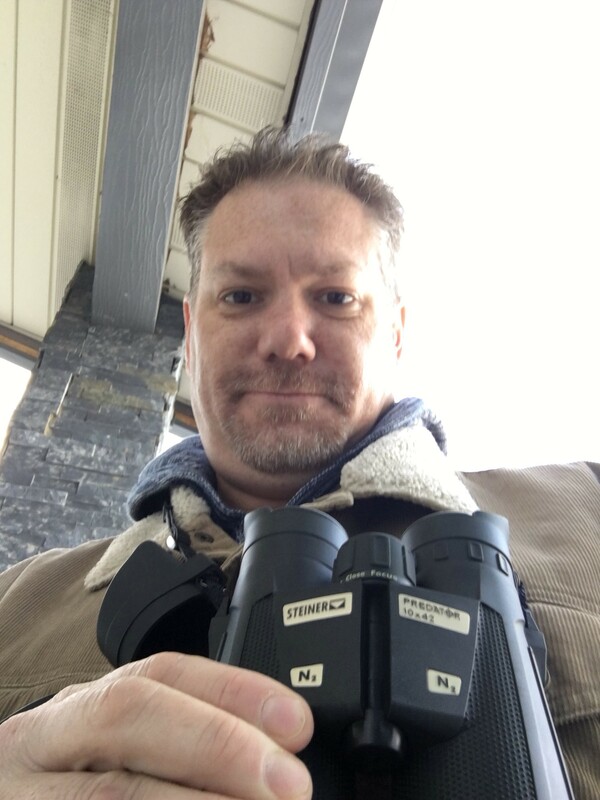 The following are ineligible: employees of Stoeger Canada and/or their affiliates, members of their immediate families and persons with whom these employees are domiciled. No purchase is necessary. All of the fields for the newsletter must be filled in. Please note, bulk mailings, reproductions or copyrighted items are ineligible.All submissions become the property of the Contest Sponsors. *Please note, if you are already registered for our newsletter, you are automatically entered. Contest closes November 24th 2017 at 11 p.m. Draw winner will be contacted on November 27th, 2017. 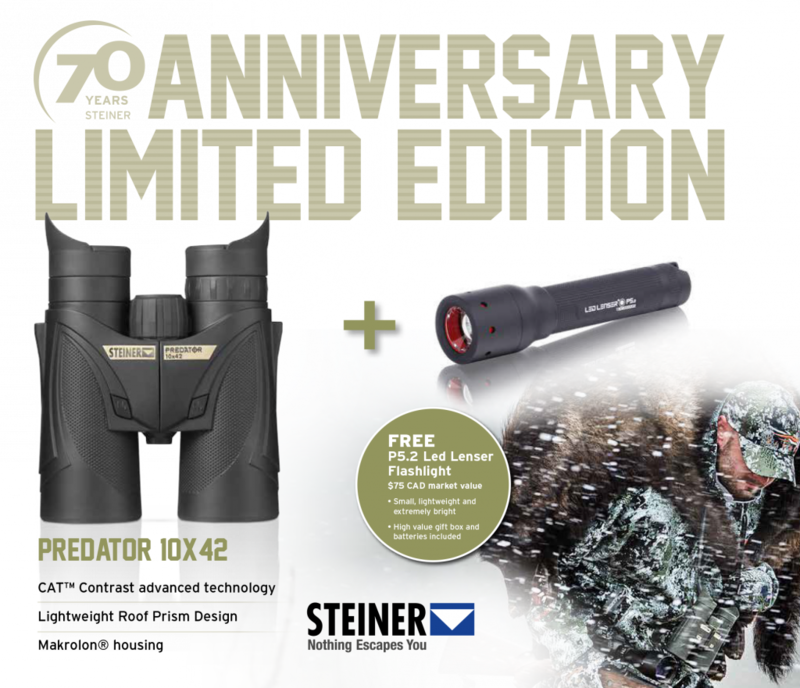 Prizes are courtesy of Stoeger Canada. The prize package must be accepted as awarded and is not transferable or convertible to cash. Should the winner refuse the prize, the Contest Sponsor is released from any obligation related to the prize package. The Contest Sponsors retain the right in their absolute discretion to make substitutions of equivalent kind or value in the event of the unavailability of any element of the prize package for any reason whatsoever. The contest winner may be required to pick up the prize package at a location agreeable to the winner and Contest Sponsors, or cover the cost of shipping the prize package to the winner’s location. Online entries must be submitted and received by the contest closing date, November 24th, 2017. To be selected as a winner, entrants must comply with the following conditions: 1) have read and complied with the contest rules; and 2) sign a standard declaration and release form confirming compliance with the contest rules, acceptance of their prize as awarded and releasing the Contest Sponsors and their affiliated companies and each of their respective employees, officers, directors and agents and their respective advertising and promotional agencies from any damage or loss that may result from entering this contest or accepting and/or utilizing a prize. The winner must return the completed form within five business days of receipt. If the completed form is not returned within the deadline, the selected entrant will be disqualified and another entrant will be selected by the judges from all eligible entries. Contest entrants agree that the Contest Sponsors and their affiliated companies and each of their respective employees, officers, directors and agents, shall in no way be liable for any claims, damages, losses, costs, however arising as a result of the entrant’s or winner’s participation in, or the award or use of the Contest Sponsors’ products pursuant to this contest. The Contest Sponsors and their respective affiliates, advertising and promotional agencies, accept no responsibility in any case where their inability to satisfy these contest rules arises from any situation which is outside of their control, including but not limited to a situation of strike, lock-out or other labour strife in the Sponsors’ workplaces or in the workplaces of any organization or entity whose services are involved in running this contest. The Contest Sponsors accept no responsibility for entries lost, misdirected, incomplete, delayed or destroyed or for the failure or malfunction of any hardware, software or telecommunication component relating to online entries. The Contest Sponsors have the right to terminate or suspend this contest or to modify the contest rules at any time without notice for any reason whatsoever. All entries become the property of the Contest Sponsors, who assume no responsibility for lost, stolen, delayed, damaged or misdirected entries or for any failure of the website during the promotional period, for any problems or technical malfunction of any telephone network or lines, computer on-line systems, servers, access providers, computer equipment, software, failure of any e-mail on account of technical problems or traffic congestion on the Internet or at any website, or any combination thereof including any injury or damage to an entrant’s or any other person’s computer related to or resulting from playing or downloading any material in the promotion. Any attempt to deliberately damage any website or to undermine the legitimate operation of this promotion is a violation of criminal and civil laws, and should such an attempt be made, the Contest Sponsors reserve the right to seek remedies and damages to the fullest extent permitted by law, including criminal prosecution. By entering the contest selected winners agree to comply with these official contest rules and agree to the publication, reproduction, and/or other use of his/her name, address, voice, statements about the contest, and/or personal photograph or other likeness without further compensation, in any publicity or advertisement carried out by the Sponsor in any manner whatsoever, including print, broadcast, or digital. The winner will be chosen completely by random and is subject to all applicable federal, provincial and municipal laws. No correspondence will be entered into except with the selected entrants and individuals requesting a copy of the rules. The odds of an entry being selected depend on the number and quality of eligible entries received by the contest closing date. All entries, become the property of the Contest Sponsors. The Contest Sponsors may make the information on these entry forms available for promotional purposes unless entrants request otherwise.